Taking a sociological perspective, this book offers award-winning coverage of criminology and highlights issues of race, ethnicity, gender and social class throughout. Criminology: A Sociological Understanding, 6e, provides a sociological perspective on crime and criminal justice by treating social structure and social inequality as central themes in the study of crime—and major factors in society’s treatment of criminals. It gives explicit attention to key sociological concepts such as poverty, gender, race, and ethnicity, and demonstrates their influence on crime. Moving beyond simple “get tough” approaches, the book emphasizes the need to understand social causes of criminal behavior in order to significantly reduce it. 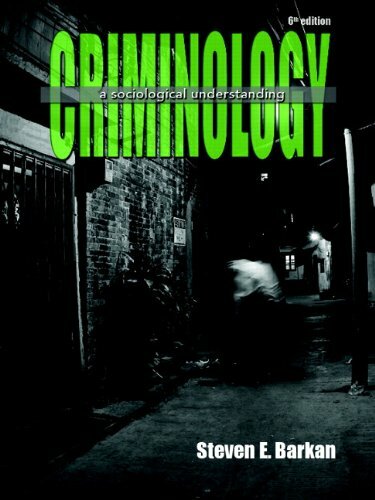 This sixth edition continues to include certain chapters that remain uncommon in other criminology texts, including Chapter 2: Public Opinion, the News Media, and the Crime Problem; Chapter 11: Violence Against Women; Chapter 14: Political Crime; and Chapter 18: Conclusion: How Can We Reduce Crime? In addition, the book’s criminal justice chapters, Chapter 16 (Policing: Dilemmas of Crime Control in a Democratic Society) and Chapter 17 (Prosecution and Punishment), continue to address two central themes in the sociological understanding of crime and criminal justice: (1) the degree to which race and ethnicity, gender, and social class affect the operation of the criminal justice system; and (2) the extent to which reliance on the criminal justice system can reduce the amount of crime. Throughout the text, key concepts are supported with a comprehensive package of pedagogical material and teaching/learning aids.